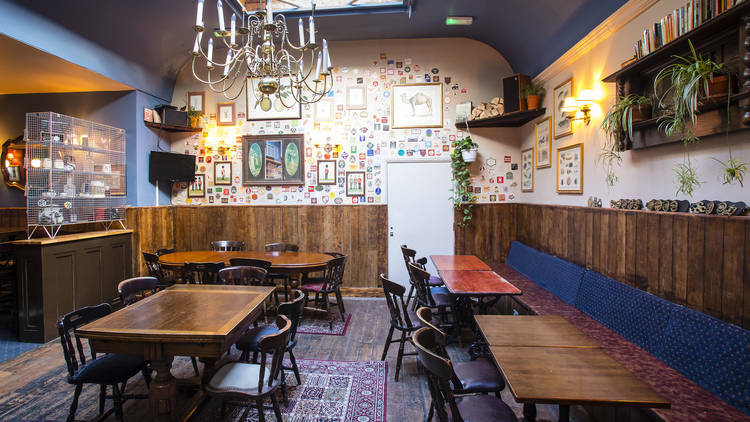 The Disappearing Dining Club’s new pub, The Dartmouth Arms in Tufnell Park, are the latest member of our stockist family – with the full range of our finest now available from their taps and fridges. Only recently saved from closure and the talons of circling developers, this phoenix from the ashes has quickly built a reputation for great beer, tasty food, proper wine, style, service, and music. Aside from this, they do a pretty banging Sunday lunch, show a large selection of sport, and have a vinyl-only DJ playing every Friday night from 7pm. Our sort of place. Do pop in and give them a go if you’re in the north London locale.